Outside the AWC62, AWC82 and AW595 JBL equipment, while in areas of semi-interior has been chosen by Control 25AV enclosures have been installed. This system is operated by an audio processor BSS BLU100 and all this is handled via control BLU8. Amplification is based on stages Crown XTI and CDI DriveCore. 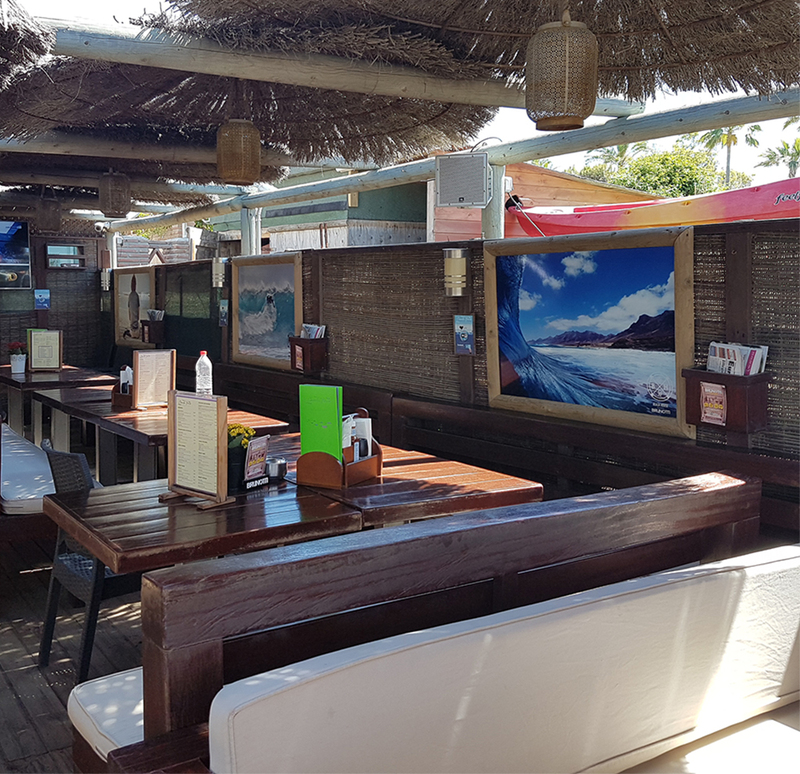 The Beach House resort Marbella (Málaga) recently reopened its doors, ushering in a new season to provide food, entertainment, events and live music on the beach on the Costa del Sol. The restaurant has renovated its rooms and outdoor leisure spaces, updating the sound system according to the needs required by Guy McCrow, owner of the establishment. 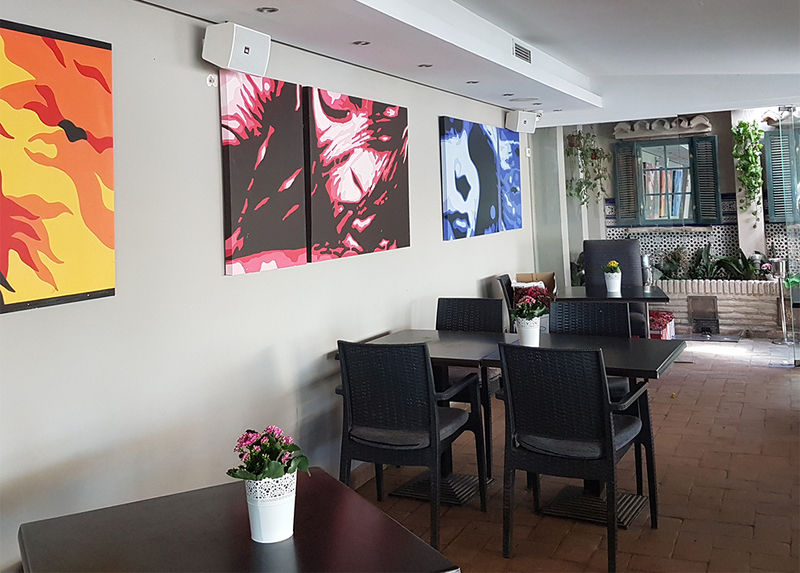 "We needed a sound system quality and durable, which differentiate the different areas depending on their activity, that would adjust levels and different sound sources with an intuitive and very straightforward operation." The company Music sheet (Facilities Division), in collaboration with the engineering department EarproHe developed a sound solution that gave answer to the needs required. 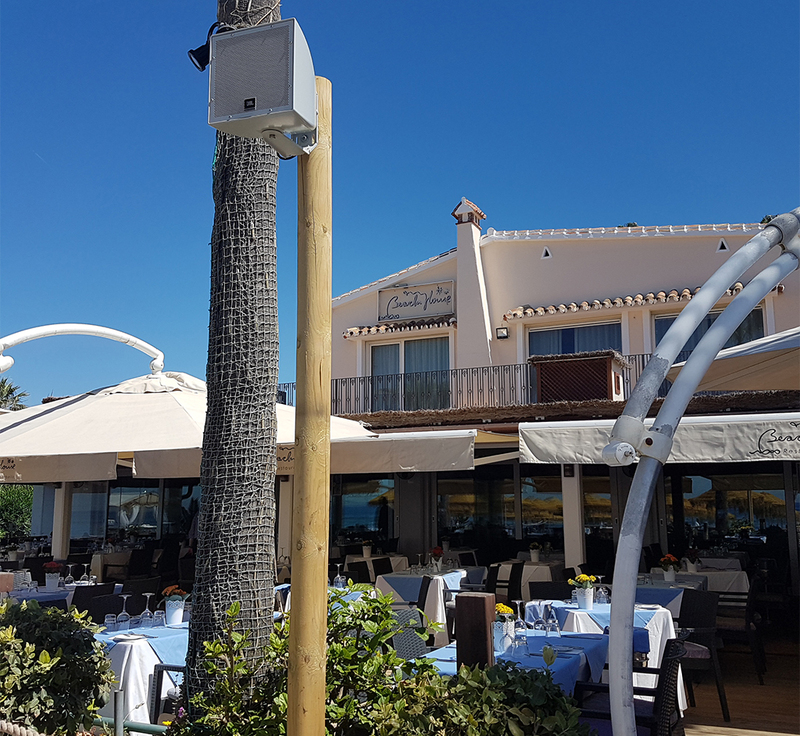 The system, in outdoor areas, is based on new models of AWC series JBL Professional weatherproof, AWC62, AWC82 and AW595, while semi-indoor areas are equipped with enclosures Control 25AV. JBL AWC two-way models, constructed of fiberglass, ensure high quality performance in extreme conditions. The system has five zones established presets for your applications live music or fully differentiated environment in which they can both adjust the volume as the sound source played. This general system is managed by an audio processor BSS BLU100, which governs the various input options-areas available to local. All easily managed through a BSS BLU8 control. In paragraph amplification, the system is based on stages CrownSeries XTI and the new multichannel serial CDI DriveCore.